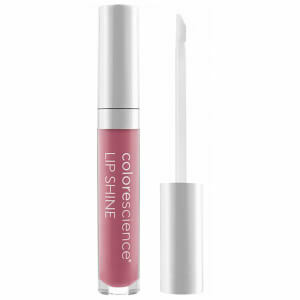 Boost radiance by revive dull, fatigued skin surrounding the eyes with the Total Eye 3-in-1 Renewal Therapy from health-forward, mineral cosmetics label, Colorescience. 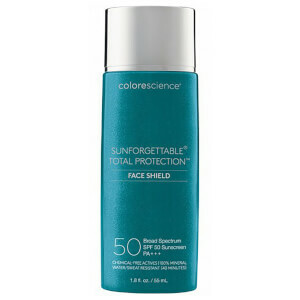 Delivering a broad spectrum SPF 35 coverage, the lightweight formula protects the area against further damage from harmful UV exposure, whilst visibly improving signs of ageing and priming skin for smooth makeup application. 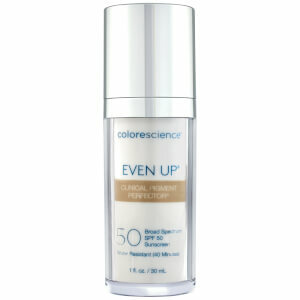 The formula’s nutrient-rich ingredients include: Actineyes (Seawater and Marine Algae) to firm and correct under-eye bags; Aldavine™5X to minimize puffiness, Beautifeye™ to reduce the volume and depth of fine lines and wrinkles; and SYN-EYE™ to address dark circles through a potent blend of peptides and vitamins. Phytomoist (a deeply hydrating active that is 4 times more moisturizing than Hyaluronic Acid) plumps skin, leaving eyes looking re-energized and illuminated. Suitable for all skin types. Opthalmologist-tested. Dispense half a pump to the applicator tip. For best results, be careful not to over-apply. One quarter pump per eye should be adequate. Dot around both eyes. 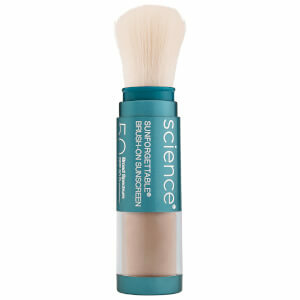 Then, smooth product over the entire orbital region, ensuring even coverage from under eye to brow—including eyelids. Blend with fingertips for a seamless finish. Recommended for use twice daily. Can be worn overnight. Active Ingredients: Titanium Dioxide 7.9%, Zinc Oxide 6.7%. Inactive Ingredients: Aqua/Water, Hydrogenated Polyisobutene, Cyclopentasiloxane, Caprylic/Capric Triglyceride, Lauryl Polyglyceryl-3 Polydimethylsiloxyethyl Dimethicone, Glycerin, Panthenol, Mica, Dimethicone Crosspolymer, Albizia Julibrissin Bark Extract, Sea Water, Sorbitol, Jojoba Esters, Sodium Hyaluronate, Palmitoyl Tripeptide-5, Tremella Fuciformis Sporocarp Extract, Hydrolyzed Algin, Ascophyllum Nodosum Extract, Betaine, Dunaliella Salina Extract, Asparagopsis Armata Extract, Sucrose, Darutoside, Pantolactone, Tocopherol, Sodium Chloride, Dimethicone/Vinyl Dimethicone Crosspolymer, Silica, Polyhydroxystearic Acid, Glyceryl Behenate/Eicosadioate, Dimethicone, Lauroyl Lysine, Dimethiconol, Ethylhexylglycerin, Triethoxycaprylylsilane, Alumina, Phenoxyethanol, Potassium Sorbate, Sodium Benzoate, Citric Acid, Iron Oxides (CI 77491, CI 77492, CI 77499). Expensive but worth the price. Will definitely repurchase.